For this season Guerlain included in its Fall 2016 Makeup Collection (swatches, info) the new Lingerie de Peau Natural Perfection Foundation. 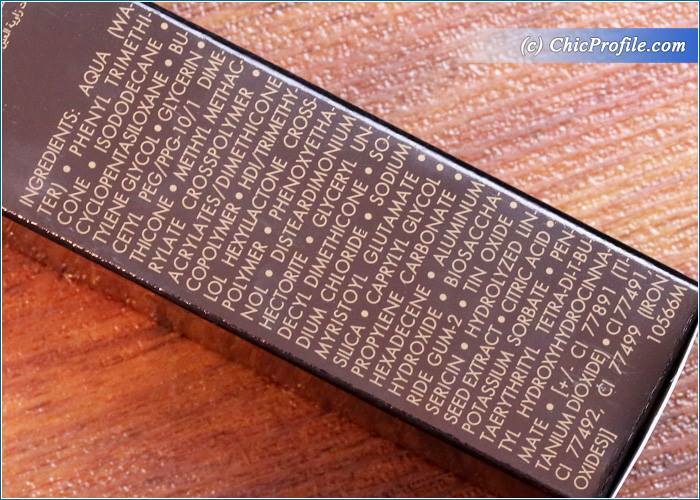 Actually I gave you a preview, along with a couple of swatches as well a few weeks ago when I was showing you the new Guerlain Multi-Perfecting Concealer (swatches). 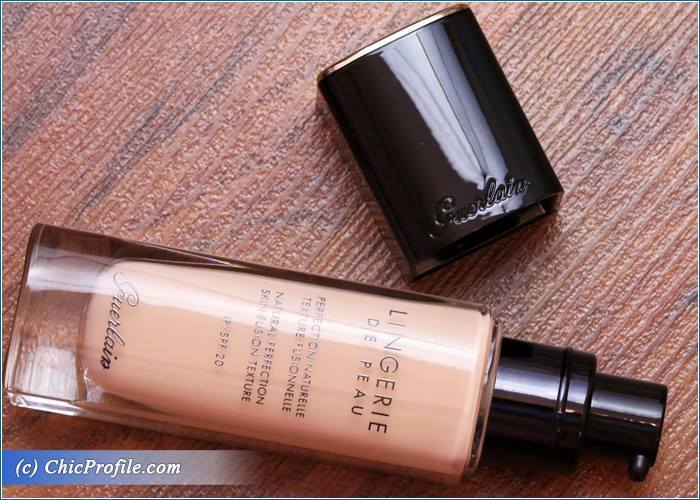 Guerlain has reinvented this foundation, came up with a new formula, one that adapts to the modern woman’s skin needs so it totally changed the packaging and improved a few things as well. 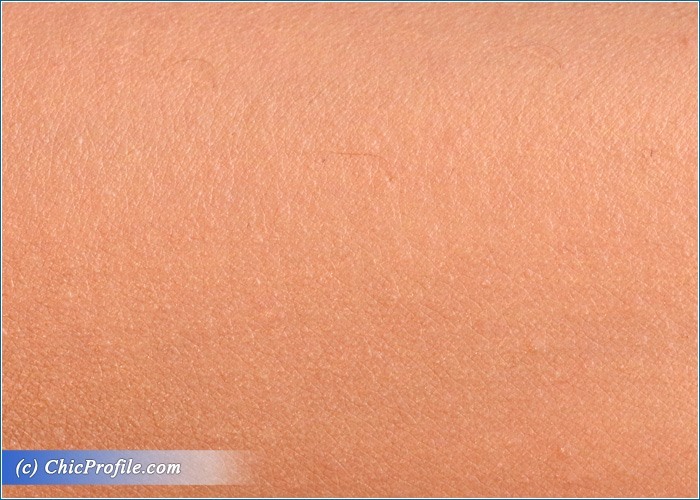 The name is Guerlain Lingerie de Peau Natural Perfection Skin-Fusion Texture SPF 20, a quite long one but who tells you a little bit about himself right from the beginning. Unfortunately I’m not familiar with the previous formula so I can’t make a comparison between the two, but I’ll give you my full experience with this new one. I’m a fan of Guerlain Parure Gold Compact Foundation (review, swatches) when it comes to Guerlain foundations and I prefer this formula as it gives my combination oily type skin a shine-free complexion throughout the day, not to mention it’s so easy to apply it with the sponge that comes in the compact. 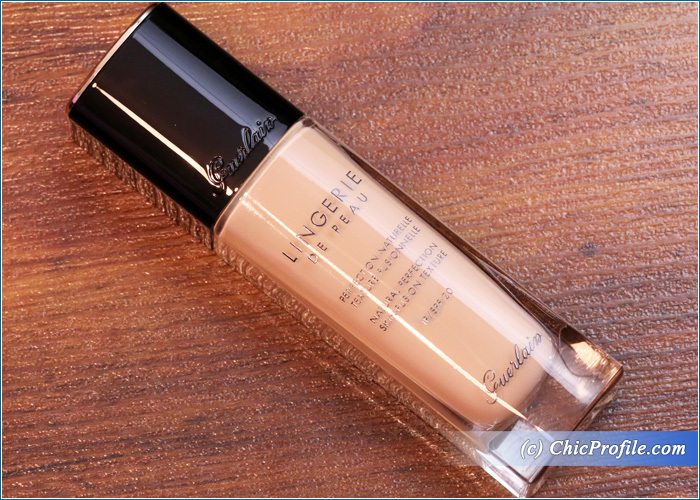 I tried Guerlain Parure Gold Liquid Foundation (review, swatches) as well, but I find it more suitable for normal and dry skin types. 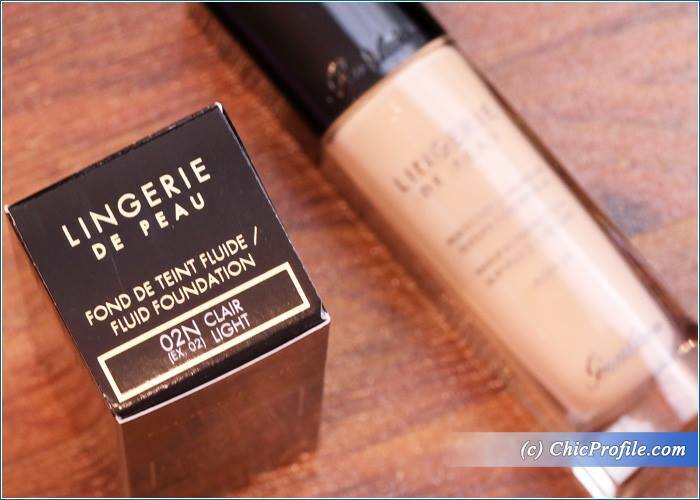 The shade I’m reviewing, the one that matches my light skin tone is 02N Clair Lingerie de Peau Foundation (265.00 Lei /€53.00/ $63.00 / $69.00 CAN for 30 ml/ 1.0 fl oz). 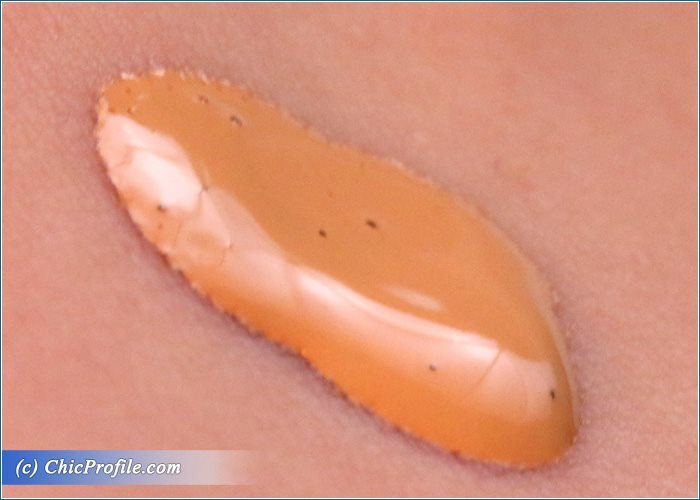 As you can see from the photos as well, this is a liquid foundation that comes in a heavy, transparent glass bottle with a black pump for an ideal dosage. I personally like the new packaging better, the classic bottle with simple cut lines is easy to hold. It took me a while to review this foundation as I wanted to wear it more than just a couple of times and pair it with different makeup primers while applying it in different ways to see what is the best way for me to wear this foundation. 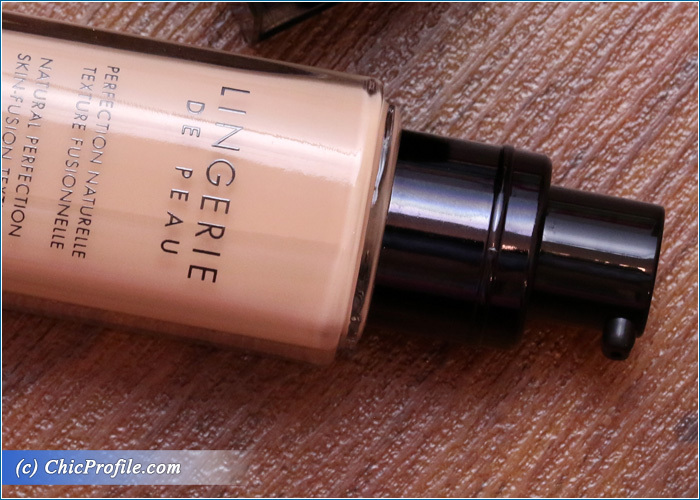 The new Guerlain Lingerie de Peau Natural Perfecting Foundation is a lightweight foundation with a natural-finish and a light-medium coverage. It is a liquid foundation but the formula is not very liquidy so it will stay in place when I apply a pump or two on the back of my hand. I usually prefer light to light-medium coverage as I’m lucky enough to have a skin without problems, but there are those days in a month when I appreciate a medium coverage foundation. It glides seamlessly across the skin being easily blendable, covering minor skin imperfections and revealing a flawless skin. 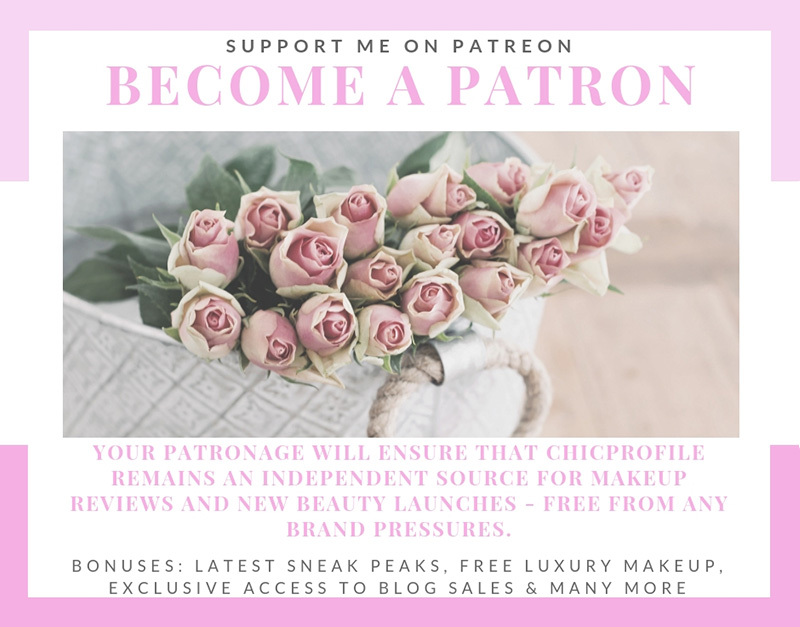 If you don’t have major skin problems that require a high coverage foundation then I’m sure you will appreciate how this foundation will reveal the best version of your skin, you ever had, while it keeps a natural and radiant finish. If you do have a couple of small areas where you need that extra coverage then you easily build it to a medium coverage by easily layering it with you beauty blender or foundation brush. I personally like to apply my foundation with my fingers, especially when I’m in a hurry, but I’m not saying no to a beauty blender as well. In this case, I noticed that Guerlain Linger de Peau Natural Perfecting Foundation works best apply with a beauty blender, because it gives a more flawless finish, just like a second skin, without loading your face with too much product. It evens out my skintone and gives me a luminous, fresh and healthy appearance. It is available in 14 shades and has a delicate and pleasant scent which disappears after the application. 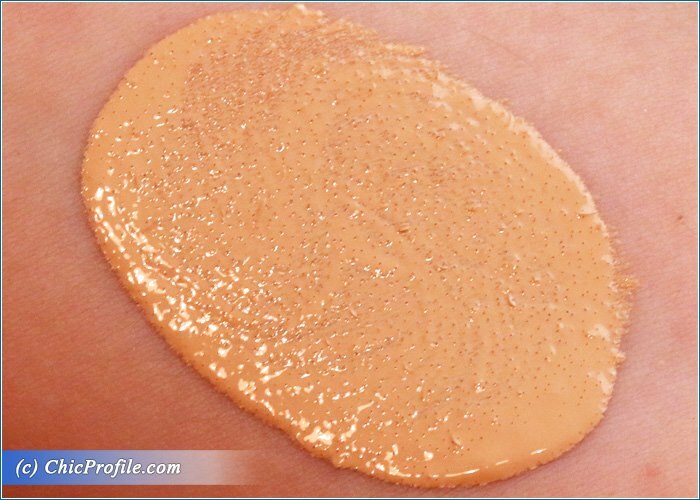 Now regarding this foundation, I would say its finish is not dewy or completely matte, is somewhere in between, more like a radiant and luminous finish. I’m a combination skin type so setting my foundation with a loose powder is a step that I never miss. With this foundation I had about 5 hours wear before my T-zone started to shine. When that happens I’m using my bloating tissues or if I don’t have them with me in my bag I just like to take a clean paper tissue and gently pat it over the shiny zones to remover the sebum excess. I would see this foundation more appropriate for those with normal and dry skin types, but who knows that now when the cold season is approaching I can be more forgiving with this formula and my complexion won’t start to shiny within 5 hours wear. This is the perfect foundation for anyone who doesn’t want too much coverage, but a fresh feeling and a smooth and radiant skin with a natural and healthy glow. It feels weightless and so comfortable on the skin, without any of that mask effect, so you can wear it the entire day. Delicately scented, the fragrance is actually quite pleasant and not overpowering, seeming to dissipate fairly quickly after application. Once fully blended in, the finish is phenomenal: exceptionally flawless and so lightweight, making it extremely comfortable to wear all day long. 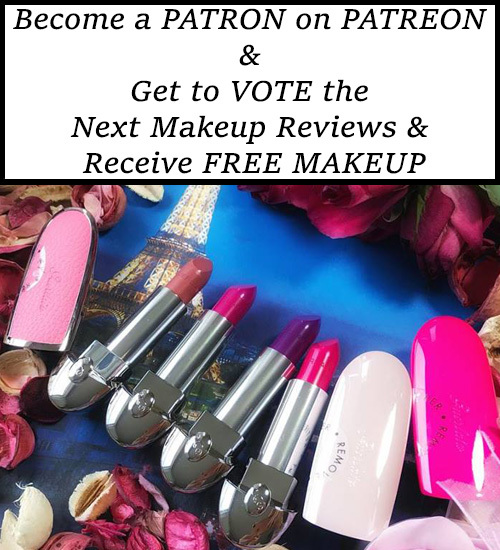 It’s a perfect match with Guerlain Multi-Perfecting Concealer…they are a great team and I used them together for over an week. While the concealer helped me cover some minor skin imperfections or dark circles when I lack sleep, the foundation came to even out my skin tone and give me a fresh natural looking complexion.